Site 7, Watson. 11 ha. Although not one of the original project sites, this was too good an opportunity to pass up. 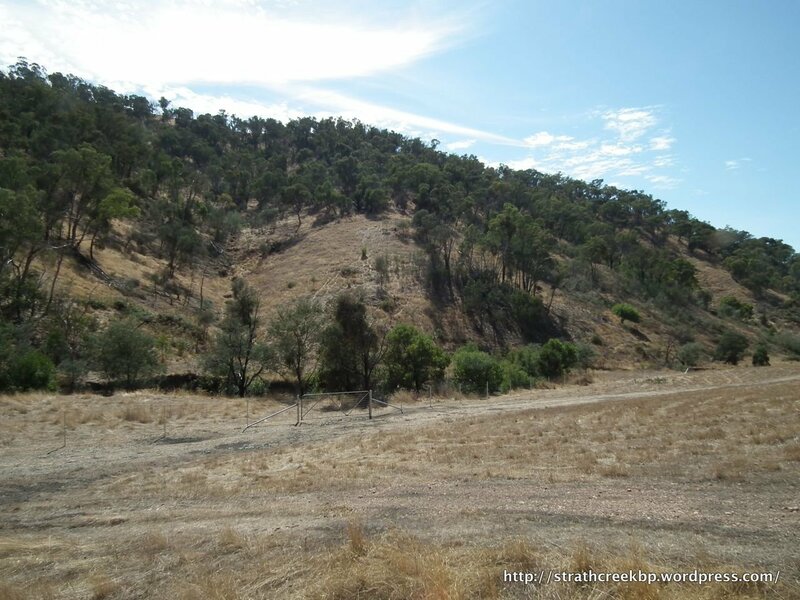 The site is downstream and adjacent to the Hidden Valley sites and completes the protected habitat corridor between Mt Disappointment State Forest and the Upper King Parrot Ck valley. 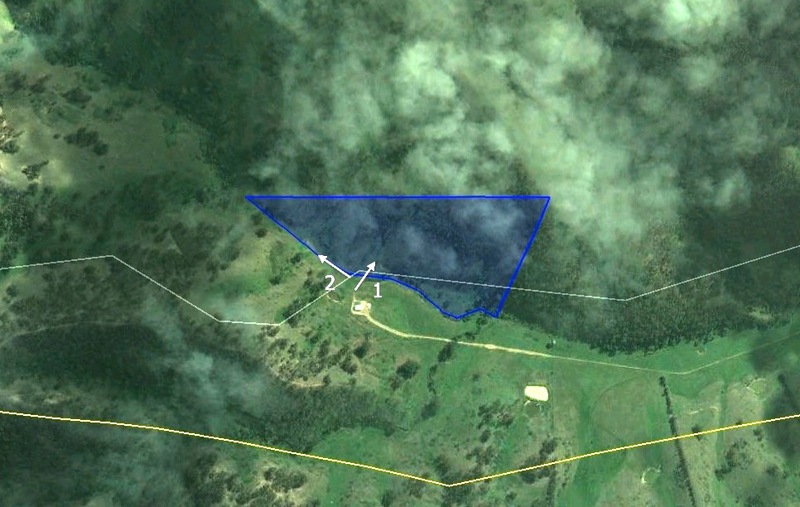 The site is a collaborative effort between the Goulburn Broken Catchment Management Authority and this, the Strath Creek Biodiversity Project. 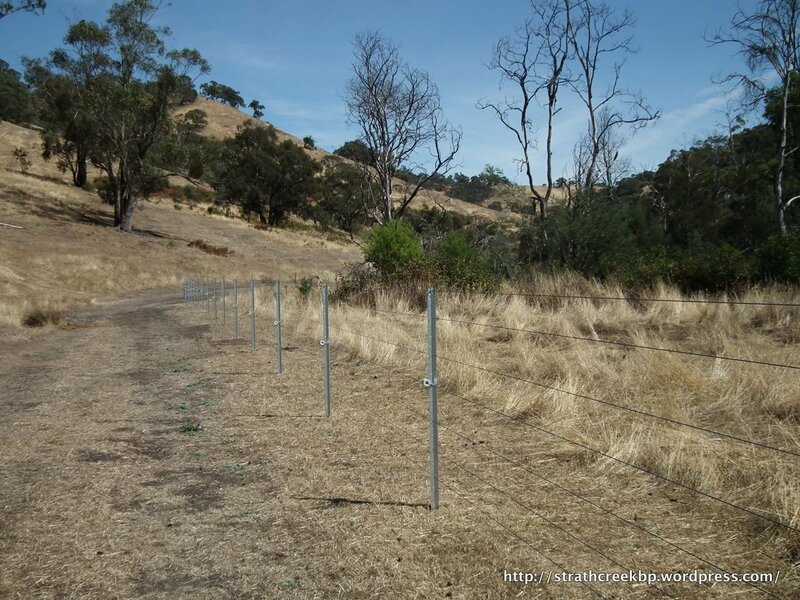 The GBCMA Waterways Program contributed the fencing materials and Landcare erected the fence and will coordinate revegetation of the riparian zone. Currently two photo-points at this site, with another to be added. PP1: 55H 346456.48 m E, 5869038.56 m S.
PP2: 55H 346417.54 m E, 5869054.73 m S.
Photo-point 1. Site 6 Feb-2013. Photo-point 2. Site 6 Feb-2013.